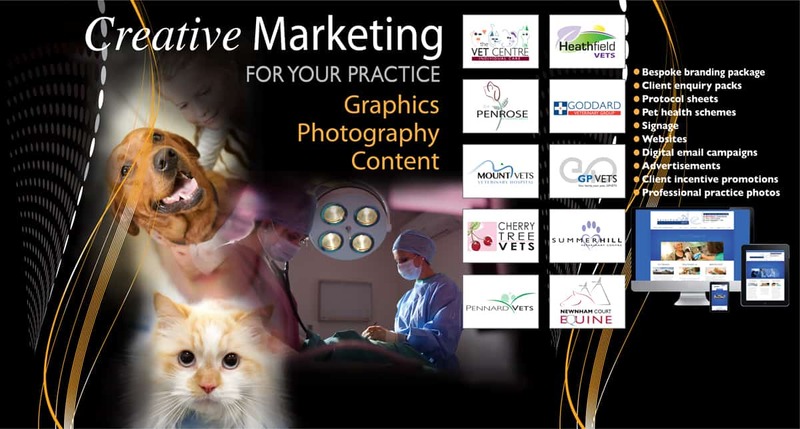 Initial Ideas produces bespoke practice identities; your logo is the foundation of your practice marketing. This vital component reflects to your potential clients your professional, up to date with the latest technologies, modern yet caring practice. We offer a free consultation to discuss your current logo and advise on how best to proceed. Converting a prospective customer call into a lifetime value client needs your staff to be able to maximise this interest by sending a professionally designed practice enquiry pack. The importance of an enquiry pack unlike welcome packs are to convert potential clients into actual clients. They become the face of the practice for new or potential clients giving an invaluable insight into the services offered by your practice, but more importantly a foundation to a new client relationship. Give potential clients a sneak peak behind the scenes at your practice and let them judge the quality and high level of care their pets would receive, with one of our market leading art directed professional photography days. The photo results without doubt give an unrivalled quality to define your service and set you apart from the competition. When you go to a web designer to build you a new website they will ask you for 3 things, content, pictures and graphics. Most of the time you will be missing at least one of these, if not all. We feel there is a huge difference between the two, most people say they are website designers but what they are really doing is working around a template with stock photos. Initial Ideas creates and designs websites, we get all the magic pieces from your bespoke photography, imagery, graphics and text to make your site truly unique.